Choose One of Our Legal Forms, Our Identity Theft Protect Plan or Just Protect Your Business or Family From Lawsuits and More. Hawaiian Joe's Legal Products and Services' Are By Far, The Best On The Market With Instant Access For Most of Our Line of Services. We Are Also A NYSE Traded Company. Join our Legal Protection Program and You'll Have Access to Lawyer's, Whereby You Can Say: "I'm Going To Talk To My Attorney About That - And Mean It!" Best of all, you will earn great commissions on all of our products and services; If you interested in marketing our Legal Products and Services', click the links below to starting your very own Legal Business. Hawaiian Joe pay's handsomely for those that will produce. 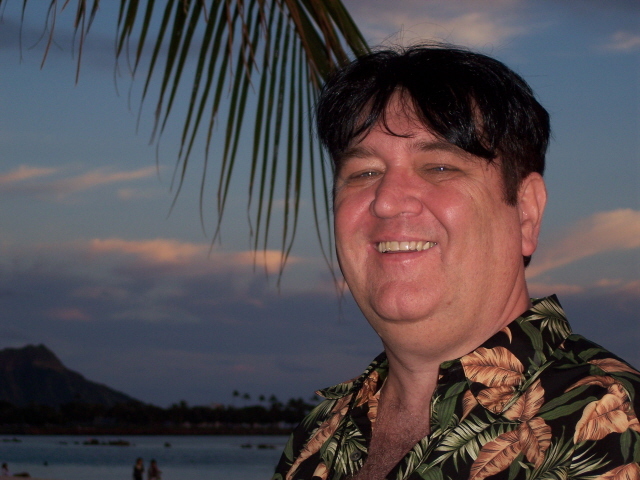 Hawaiian Joe is a full-time freelance copywriter specializing in direct network marketing. He earns a substantial income from his online business entrepreneur endeavors. A entrepreneur, network marketer, copywriter and consultant for more than 35 years, Joe has written programs and designed training for such organizations as the United States Air Force, United States Army, private companies and others. Joe has over 35 years of information systems and design experience and a health background in Cardiothoracic Surgery. Joe is also a member of The American Medical Writer's Association and currently has dozens of new e-books in the works in an easy to read and understand format in topics such as Atrial Fibrillation, Atrial Flutter, Living With Heart Disease and other body systems as well. You certainly will not want to miss the release of his new e-book "Your Personal Road Map To The Fountain Of Youth" that is expected to be released in 2011. Joe received his bachelors from Valdosta State College in Georgia, a Masters in Business Administration (MBA) in Management from Golden Gate University in San Francisco, and a Masters of Science from Concordia College & University. Joe also possesses two other degrees in Resource Management and Nursing. Joe maintains a current Registered Nurse License and practices within the Critical Care environment to keep his licenses current. Joe is a professional travel consultant specializing in the Hawaiian Islands, the author of numerous e-books and has published more than 100 articles on health, travel, and network marketing techniques. Joe has appeared as a guest on TV and radio shows while working to raise funds for chartable organizations and has sponsored and coordinated countless blood drives for the American Red Cross in times of need. Joe works with local law enforcement and Sheriff's officials in sponsoring free "Child Identification" campaigns to help identify children in case of wrongful abductions. Joe also works with various communities in raising funds for free community programs that has housed over 25,000 local resident's and visitor's FREE of charge in one gathering. As Executive Vice President for Not-For-Profit Community Organizations, Joe was instrumental in ascertaining political support for Gaming Licenses with both Congressional and House of Delegate Representative in raising funds to sign professional talent such as Garth Brooks and other Nashville talent to festivals which were all Free of charge to residents of local communities. Joe's is a Past Master of the Freemasonry Fraternity of Ancient Free & Accepted Masons and a member of The Knights Templar - the top ranking Masonic organization in the York Rite of Freemasonry. The Knights Templar also requires membership in a Chapter of Royal Arch Masons of which Joe is a member. "My sales have doubled since I received your information on how to market on the net. Good things are finally happening. I am getting a steady stream of traffic. I appreciate your sound advice." "Thank you so much for your kindness. My trip to Hawaii was fantastic. I look forward to using your services on my next vacation." "Joe, again thanks for the great time we had at Paradise Cove and the other areas you recommended for us to visit while visiting Hawaii. We'll recommend your service anytime. I'm certainly delighted that we found you on www.YellowPages.com!" "The dieting information you provided is great - it's the most common sense program I've encountered. I'm eating great, feeling better and loosing weight. Anyone who is serious about their health absolutely needs your Vita product." "Yo Joe ... you're one creative person. Thanks so much for showing me how to put together my web site. I'm very pleased with the product and I did it myself. It was as simple as you said. Thank you." "Thank you very, very much for doing such a great job with our Hawaiian vacation. Your recommendations to visit the other Islands made our vacation an unforgettable memory of our lifetime." "In my opinion - Hawaiian Joe Rocks!" "Thanks again… you did a great job." "You are a genius! The ad page you put together has increased my sales by 300%!" "I thought your free Hawaiian Lingo e-book was cute and extremely helpful. The free maps also were a great help while in Maui. Thanks for the free comps." "Joe, The Vegas vacation was great. We actually came home with more money than we took. We all are thankful we found your www.Las-Vegas-Traveler.com web site. You know we'll be using it again!" Are you looking for great legal products and services to enhance your market? Want to avoid researching and hunting down legal products and services to use or sell for your personal or online business? Can’t find the right legal products or services to fit your budget due to the high cost of Legal Fees? Then you've arrived at the right place and at the right time. It’s a fact that the lack of quality legal products or services can be a major barrier to achieving financial independence and be detrimental to you and your family overall financial health. Fortunately, it’s a barrier Hawaiian Joe, Inc. can help you overcome. We have all the legal tools available to make your life less complicated. Take your time and browse our legal product line and see what value you will add to both your personal and business health. An instant legal product line for home and business. Starting your own Legal Business. Legal protection for your family. Legal protection for your business. Succeeding as an independent Legal Associate. Just select from the list below to market our legal products or services that meets your interest. Choose one or all our legal products and services. Join me in starting your own legal business; or, just protect you and your family from those uncertainties that always arise when you least expect it. Remember to check back often because we are constantly creating new legal products and services that will benefit our customers and business partners. To receive any of our Free Newsletters, click the button below.